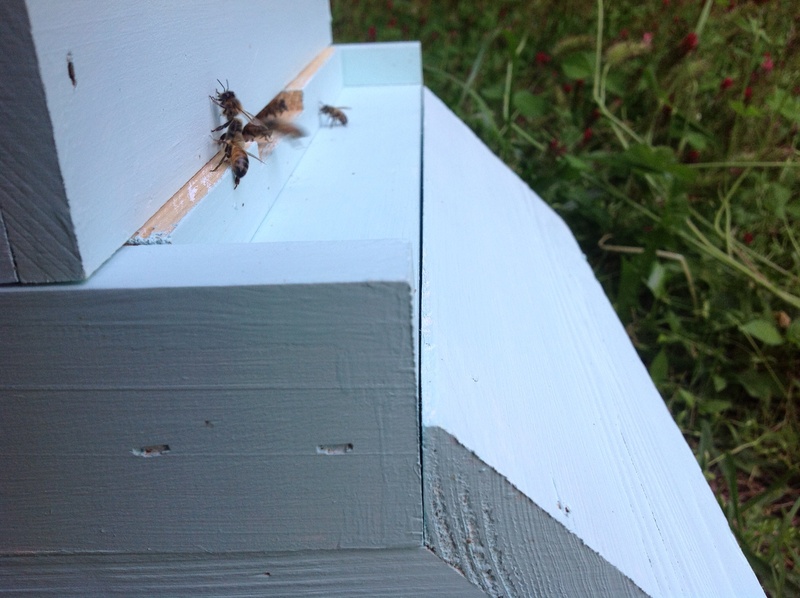 I removed the entrance reducer this evening, and the bees seemed a little confused and unhappy. Returning foragers approached the entrance and seemed unsure of whether to land and flew around a couple of times before being convinced they were in the right place. After attending a presentation on bee pheromones on Monday night, this behavior actually makes sense. 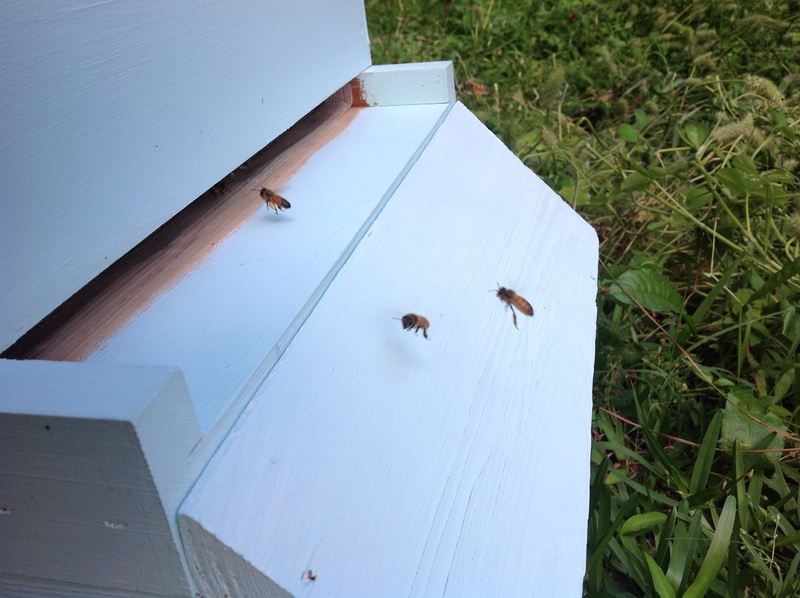 Apparently, bees mark the entrance, as well as many other places, to create a trail back to the hive. By removing the reducer, I had essentially erased the welcome mat they had made for returning foragers. 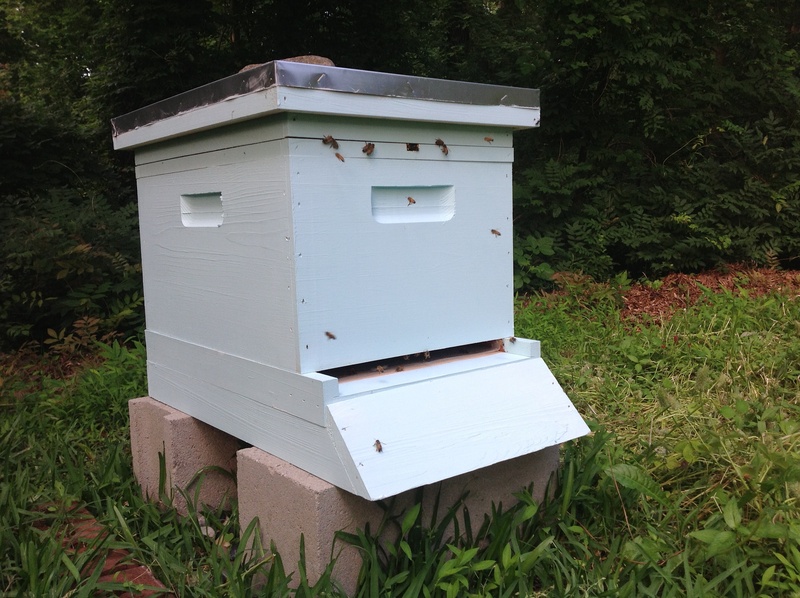 I stayed around to make sure the bees eventually got oriented because I felt like I had left them exposed, and I was able to see some foragers returning with pollen, but after a couple of minutes, a guard bee was in my face, and I had to leave.